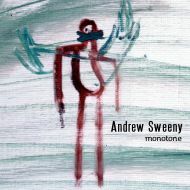 Digging up the past I stumbled upon Andrew Sweeney's 2004 Monotone. Mostly a beautiful balance of acoustic guitar and piano tracks, accompanied by hints of cellos, amped guitars, and primitive percussion, all arranged slightly different, making each track a unique journey. Well worth the listen. From his 2004 split release on Hinah.